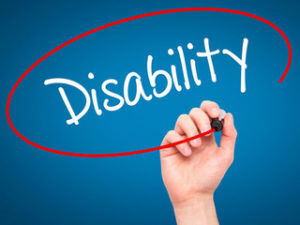 The claimant has a greater chance of winning their claim if they have an experienced Disability Advocate on their side representing them in the Social Security Disability cases. An experienced Advocate at Disability Specialist Center, LLC will be able to represent claimants throughout the claims process including assisting claimants with the Application and appealing the denial decision. If the claim is denied at the Application level, it must be appealed within the time frame indicated on your denial decision. In Michigan, the next level of appeal is the Request for Hearing. Once the Hearing is requested, the Social Security case will be assigned to an Administrative Law Judge (ALJ) at an Office of Hearings Operations (OHO) located close to where the claimant lives. There is usually a wait time of several months (12-18 months) before a hearing is scheduled. At the hearing level, the Disability Advocate will be able to review the file, evaluate the medical and vocational issues and determine what medical records are needed. The Advocate will also develop the functional limitations from Doctors to present the case to the Administrative Law Judge at the hearing. Prior to the hearing and once the case is completely developed with the medical evidence, the Advocate may even write a brief to support your case. The Social Security Disability Hearing is informal and is held in a conference room. The people that will be present at the hearing are the Claimant, the Advocate, the Administrative Law Judge and the Hearing reporter. There may also be a Vocational Expert and/or a Medical Expert present to testify in the case. Testimony is given under oath and any witnesses including the claimant and the experts will be sworn in prior to giving testimony. The answers to the questions asked must be spoken clearly as the hearing is taped. The Administrative Law Judge will write the decision and mail it to the Claimant and their representative within a few months after the hearing.